All the information in a single image - only with Ashampoo Snap! 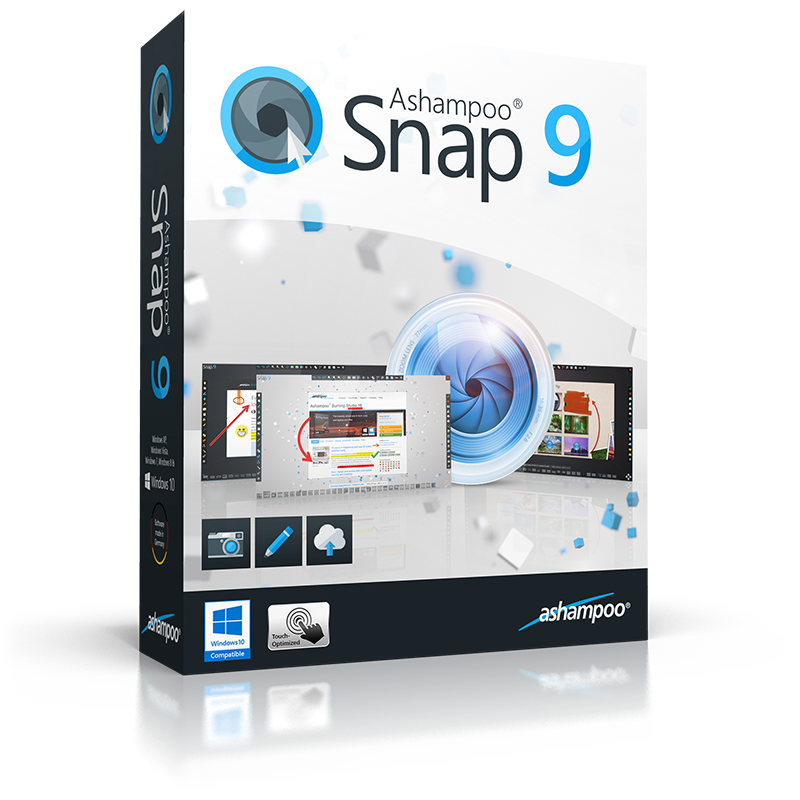 Ashampoo Snap 9 is the ideal screenshot and video recording solution for your PC. Capture anything you see on your screen as images or videos and add additional information, e.g. texts or arrows. A picture is worth a thousand words - if it is done well! Use the integrated text recognition to copy entire pages of text or share your processed images with friends and family. Whether you need to explain, document or simply demonstrate - Snap 9 is always the best choice! Images and videos convey information in a much more relatable, personal and succinct way than mere texts. Use Ashampoo Snap 9 to create images and videos that tell your story the way you meant it to be told! Save yourself lengthy explanations and create intuitive, meaningful images in a just a few clicks. With Ashampoo Snap 9, the possibilities are endless! Create video tutorials with ease or simply record your webcam sessions, Skype calls or streams! The enhanced recording menu enables you to pause your videos, add new effects or apply timers. 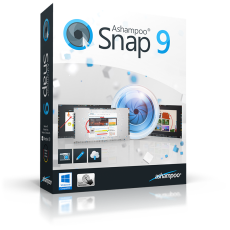 Ashampoo Snap 9 is smart and takes a lot of work off your hands. Whether it's the integrated text recognition that can extract entire pages of text for you, the automatic numbering that can render procedures more comprehensible or the automatic stop feature that will stop a recording when the action is over - it all just makes sense! Create, edit and send, do it all with a single application. Snap 9 allows you to edit your live recordings by adding text and drawings. It's the fastest and most intuitive way to create instructional videos! You can also record your keyboard input. Where you previously had to insert text explanations and graphics Snap can now do the job for you - ideal for tutorials! Would you like to instantly edit your captures in your favorite application or upload them to the cloud? Ashampoo Snap 9 makes it possible. Freely select the image editor to be used with your images, e.g. Ashampoo Photo Commander, and customize the save path. Need to save your images online? Simply select an application such as Evernote and you're all set. Traditionally, while you were recording a video you'd have to sit by and watch to stop recording at the right moment. Snap 9 detects when the action is over - and stops the recording automatically. The recording window is fully flexible. Drag it to where you need it to be even during recordings to keep the focus on the action! Too much praise can be a bad thing but Ashampoo Snap is a truly polished program that will appeal to anyone.